1) How we are caring and helpful. with our customers, suppliers and colleagues. 3) How we are proactive stewards of our time, talents and resources. 4) How we execute so that it is a pleasure to do business with us. When you need to make a decision about which technology will make your office run better, we can help. We’ll do the research for you. Just call us and we’ll help you make good decisions, give you affordable prices, and even do the setting up. Stuck between deciding whether you should have a printer on every desk or one centralized multi-function printer? You don’t have to settle for either extreme. A single supplier can advise you on what printing architecture works best for your company. We use advanced remanufacturing processes and high quality parts to ensure that you get excellent print quality at a good price. No more need for over-priced, brand-name or compatible products. We understand the needs of a small business. We’ll work hard to save you time and to make sure that any questions or concerns are promptly addressed. Our goal is to provide for all your work space needs so that your office runs as smoothly and efficiently as possible, freeing you to focus on what matters most to you, your business. Or to put it another way, to enhance your administrative productivity and increase your bottom line, we look forward to being your printing partner and your office product advisor. Ribbon Encore began in 1998 by rebuilding dot matrix ribbons for a few customers in Guelph, Ontario. We entered the printer imaging business with the purpose of offering a truly superior environmental product that would work like the original. True to our environmental beliefs, our remanufacturing processes recover all used components for proper disposal or recycling, and our product has one of the lowest defect rates in the industry. As Ribbon Encore grew, we started rebuilding printers and added many brand name (OEM) products to our inventory. We have expanded several times since 1998 and we now service Kitchener-Waterloo, Cambridge, and Brantford, as well as Guelph. 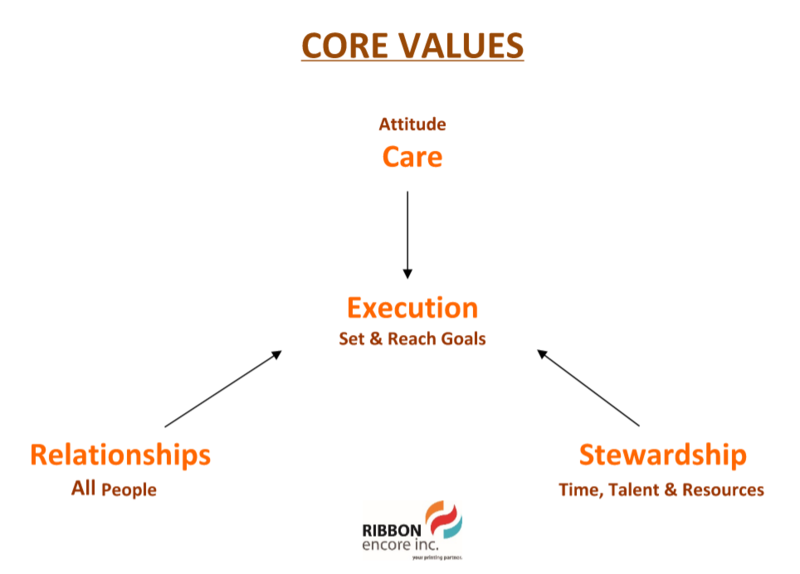 Ribbon Encore is here to do what you don’t have time to do. Our goal is to provide for all your work space needs so that your office runs as smoothly and efficiently as possible, freeing you to focus on what matters most to you, your business. Need a break? Then sit back, and enjoy the time you saved by trusting Ribbon Encore, your printing partner.